It’s spring (despite what Mother Nature says) and that means it’s time for another round of mortgage rate wars. But before the Bank of Montreal (BMO) had the chance to unveil its controversial 2.99% rate again, Finance Minister Jim Flaherty called it quits. Flaherty was infamous for a phone call he made to BMO last spring, urging the bank to practice more “responsible lending” following the 2.99% release. So, now it’s up to new Finance Minister Joe Oliver to man the phones. Rate wars are on, but are all rates created equal? The Bank of Montreal has set a precedent, by springing (pun intended) its 2.99% 5-year fixed mortgage rate for the third season since 2012. Other Ontario credit unions, such as Meridian and Alterna Savings, have also dropped their rates to similar offerings – 2.95% and 2.98% respectively. 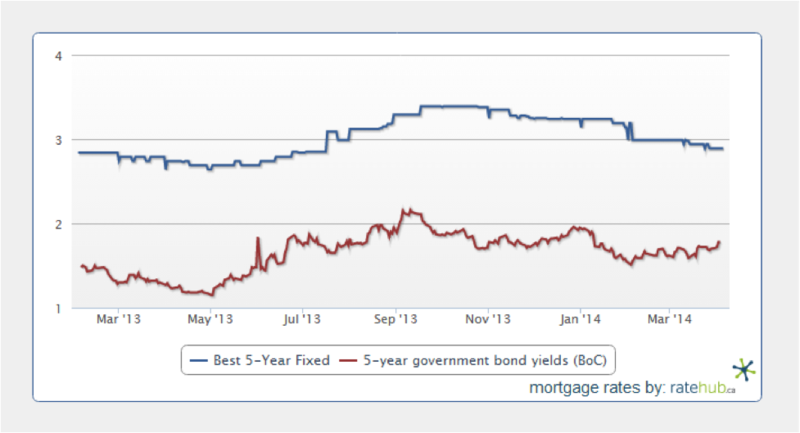 And the 5-year rates on Ratehub.ca have hovered between 2.84% and 2.94% for the last week. However, not all of these rates are created equal; that is, they do not all come with the same features and conditions. Rob Carrick of The Globe and Mail was quick to point out the pitfalls of the BMO mortgage product that comes with the 2.99% rate, and asserted it “isn’t quite as good as it sounds” – and he’s right. You can’t break the mortgage before it comes up for renewal in 5 years, unless you sell the property, refinance with BMO or do an early renewal into another BMO product. Compared to a standard mortgage with the usual prepayment penalties, this mortgage product essentially handcuffs you to BMO. Other pitfalls include: the rate hold of only 90 days (some lenders will offer 120 days), the fact that mortgage prepayment options are capped at 10% for both monthly and lump sum payments compared to the standard 20%, and there’s no “mortgage vacation” feature (i.e. skip a payment). Meanwhile, we can confirm the lowest rates offered by independent mortgage brokers on Ratehub.ca are all standard, full feature mortgage products without such limitations. Knowing the limitations, if you’re still interested in BMO’s 2.99% rate, you better get a move on, because an internal memo obtained by Allison Lampert of the Montreal Gazette said the rate was promotional and only available until April 17th. Why are the banks cutting rates now? Normally, the banks will adjust mortgage rates in the direction of bond yields (which more or less reflect the cost of funding mortgages), but the recent cuts don’t appear to follow this trend. As you can see in the chart below, 5-year bond yields have come down a bit since January, but are not nearly as low as they were in the spring of 2013 when the 5-year 2.99% mortgage rate also prevailed. Therefore, one can only assume the latest mortgage rate cuts are a move to generate business and capture market share. Indeed, BMO has the smallest share of any of the Big Banks in the mortgage market. All of the attention has fallen on the more popular 5-year fixed mortgage rate, but there are other – and arguably better – deals out there right now. 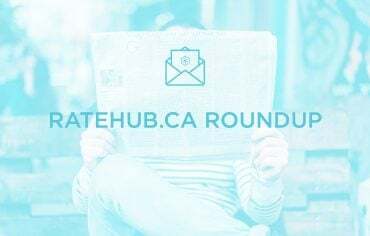 The 5-year variable mortgage rate has hovered between 2.30% to 2.35% for the last couple months on Ratehub.ca, while the 2- and 4-year fixed rates at 2.49% and 2.79% respectively are also great deals. To put this in perspective, consider the 4-year rate at 2.79%. There’s a 0.15% premium to get one more year locked in for the 5-year at 2.94%. For some, this premium may be worthwhile, but it definitely doesn’t make sense for everyone. What does new Finance Minister Joe Oliver have to say about the rate wars? So far, not much. In a recent statement made to reporters, Oliver said, “our government has taken action in the past to reduce consumer indebtedness and the government’s exposure to the housing market. I will continue to monitor the market closely.” However, later that day, Oliver called the bank’s move a private decision and said he was not going to intervene. Only time will tell what will happen in this situation. In the meantime, if you’re missing Flaherty and his interventionist ways, here’s a summary of his greatest hits. We’d like to pass on our congratulations to all the nominees of the Canadian Mortgage Awards, and a special congratulations to the brokers on our site who were nominated. This month, our CEO and CMO are running digital marketing workshops on search engine optimization (SEO), content marketing, social media and more through HackerYou. Sign up for a case-based approach to learning with industry-leading examples, interactive exercises and expert coaching, and learn how to build an affordable and effective digital marketing strategy.